Finally a faster way to search for reborn! (1) When an opponent’s monster declares an attack: You can discard this card, then target 1 monster in either GY, except this card; Special Summon that monster to your field, but send it to the GY during the End Phase. 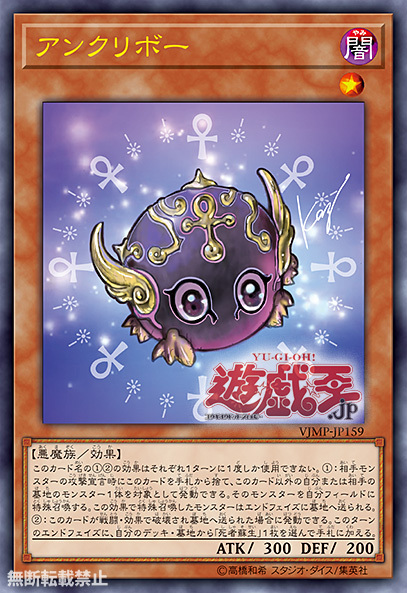 (2) If this card is destroyed by battle or card effect and sent to the GY: You can activate this effect; during this turn’s End Phase, add 1 “Monster Reborn” from your Deck or GY to your hand. Ankuriboh will be released in the April issue of V-Jump, which goes on sale on February 21.